Hello, Christy Sims supporters! 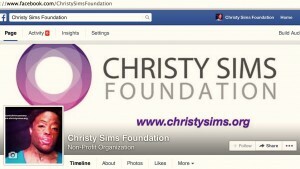 This is Laci, Christy’s friend and the Social Media Director for the Christy Sims Foundation. Usually, Christy writes these blog posts herself but I’m filling in today because this week, I have a question for all of you. Before I ask it, though, let’s back up a little. I’m asking you to please continue sharing my story this week, online and in-person with your friends, family, and co-workers. I’m also asking everyone to please give just $10.00. It may not seem like very much but imagine if each of those 663 people who shared had given $10.00… The Total Contact Face Mask I mentioned in my first post would be ordered and the dent I’m trying to make in my medical expenses would be that much bigger. I (still) hate having to ask for your help and am only comforted by the fact that I think know you understand. 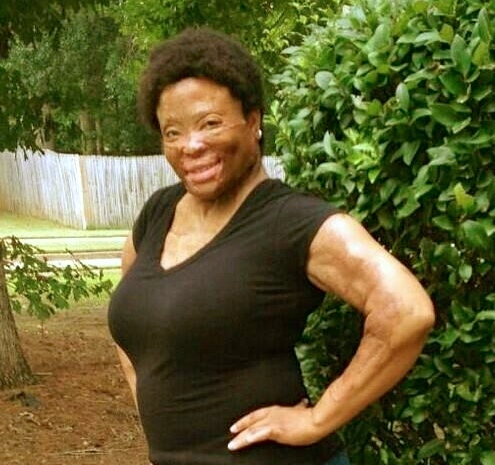 You may not be able to relate to being attacked by someone with sulfuric acid – and Lord knows I hope you never are – but I know you can understand where I’m coming from as a survivor. If you’re reading this, you’re old enough to have been through something, faced a challenge that you did not know how you’d make it through, and survived it thanks in large part to the compassion of other people. So, again, I swallow my pride and I ask you to continue to share my story, to give $10.00, and to encourage others to do the same. Thank you. If you’re on any of these platforms, I hope you’ll connect with us and continue to help me to share my story with your online community. Share my last video with them… Share this blog post with them. Just please share. And give. We’ll be sharing some social media pointers over the next week with you but for now, just remember to always include the hash tag #sharechristysstory! (This helps us to gain online traction and be seen by more people.) Also, please feel free to leave comments on any of these platforms- I see every single one of them and I LOVE reading through them. Have a wonderful week, everyone, and thank you again for all of your support and love.